Cate: Please welcome Kristie Cook. Kristie, will you please share a short bio with us? Kristie: Kristie Cook is a lifelong writer in various genres, from marketing communications to fantasy fiction. 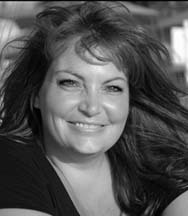 Besides writing, she enjoys reading, cooking, traveling and riding on the back of a motorcycle. She has lived in ten states, but currently calls Southwest Florida home with her husband, three teenage sons, a beagle and a puggle. She can be found at www.KristieCook.com. Cate: Tell us about Purpose and where it's available. 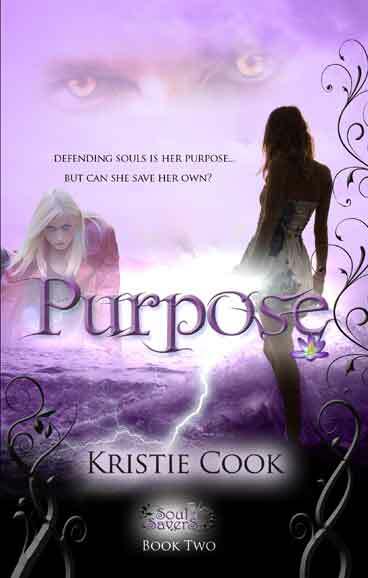 Purpose is the second book in the Soul Savers Series that picks up 7 years after Promise, the first book, leaves off. Alexis must face personal and real-life demons as she tries to put her life back together, battling herself, the enemy and the worst opponent imaginable. In the process, she also discovers her purpose in life. Kristie: For a short time every night, I allow myself to remember, if only in my subconscious. And then I know again what it feels like to have a whole soul. To feel loved. To be complete. To live in a world of beautiful color and light. To know that he lives. And so does the Real Alexis. Somewhere, we cling to each other, our souls still united. Somewhere, we live together in the light. But then the sun rises and life goes dark again . . . .
Kristie: Tristan is not your typical alpha male. He’s sure and confident and can handle any situation, but he’s not controlling, demanding or overly cocky (unless Alexis needs him to be, which sometimes she does). Her needs always come before his, although she doesn’t always realize that’s what he’s doing. He has some secrets and soft spots that we discover slowly as the series progresses that just make you want to hold him and tell him everything will be okay. Oh, and he’s gorgeous with a warrior’s hard body. Cate: Sounds delectable. :) Tease us with one little thing about your fictional world that makes it different from others. Kristie: The series takes place in our world with a whole faction of…er…people (if that’s what you can call them) that we don’t realize exist in our world. This faction includes vampires, were-creatures and mages, as well as two opposing armies created by the angels and the demons. 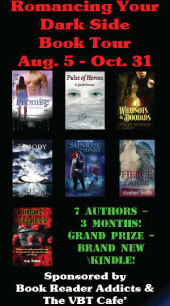 Kristie: GENESIS: A Soul Savers Novella comes out in October. It’s a prequel to the main series. And DEVOTION, book 3 in the main series, comes out in February. Kristie: The very first story I can remember writing was a school assignment when I was 8 years old. I fell in love with writing then and grew up penning all kinds of stories – or, at least, their beginnings. I rarely finished any. The first one that actually became a real book (had a beginning, middle and end, in other words) was inspired by the desire to write for fun after a long hiatus and all the fantasy I’d been reading and watching on TV and in the movies. Kristie: I start by reorienting myself to the world by reviewing (and lightly editing) the previous day’s work. That usually gets me rolling, but sometimes I stopped the previous day because I was stuck and still am. When this happens, I turn on music appropriate to the story and play minesweeper. The game is mundane and pointless, but uses the left side of my brain, allowing the right side to work out the next scene. If that doesn’t work, I take a shower or a walk. My muse can also be bribed with chocolate. Once I get started, though, I just write until I no longer can (either because my eyes are closing, the kids are bleeding or I’m required under the threat of death to do something in real life). I don’t usually have a daily word or page quota unless I’m under a tight deadline and have to issue threats to myself. 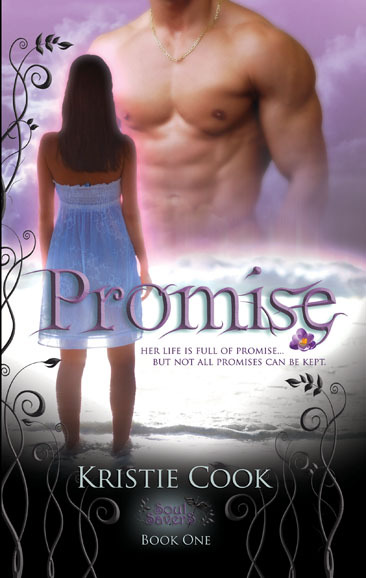 Kristie: I listed what makes me love my hero and why I think you’ll fall in love with him. But what makes you fall in love with a hero? Cate: Great question! Thanks so much for being my guest, Kristie. Best of luck to you.